Durable and reliable despite the years and miles put into it. The truck has 210,000+ miles on it, so naturally there are parts and components that have needed to be replaced. For example we have replaced: the brakes pads, fuel pump, water pump, power steering line, hoses, belts, and regular oil changes. Nearly all repairs have been done by my husband with the help of YouTube videos. The two truck features I like most would be the driver seat position presets, since my husband and I frequently take turns driving it is as easy as a touch of a button to adjust the seat back to mine or his setting. The seat warmer is a close second, I am in Texas so although it sounds contradicting, it is perfect to warm up before leaving in the winter since my Texan body absolutely dreads sitting on a cold seat during my daily commute. I'd say it is a very reliable truck, and I love having it. A beater with a heater, it is got that going for it at least. 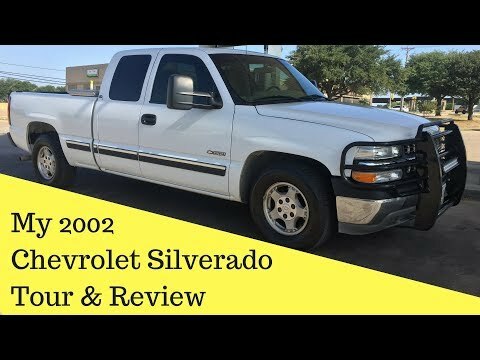 Well my truck is a beater with a heater, this is now my second Silverado 1500 I've owned and I have learned from many, they all seem to have a lot of the same problems. I am currently dealing with the frame of it is going bad, not fun. I am constantly getting something fixed on it. I myself ain't a Chevy kind of person, and my truck reminds me as to why, pretty much daily. I don't think the performance is necessarily bad. . . When its performing. Not a very reliable vehicle, would not take it to a very long distant drive. The truck is very comfortable and has a lot of space which is really nice with having 2 kids. There aren't any crazy features, it has 4 doors, automatic headlights, 4 wheel drive, and that is about it. I wouldn't recommend any Chevy Silverado 1500 from 1995-2005 to my worst enemy honestly.